Surveys of corporate executives by two professional services consultancies revealed enterprises are on the path to deploying blockchain ledgers for business automation and transaction efficiency. 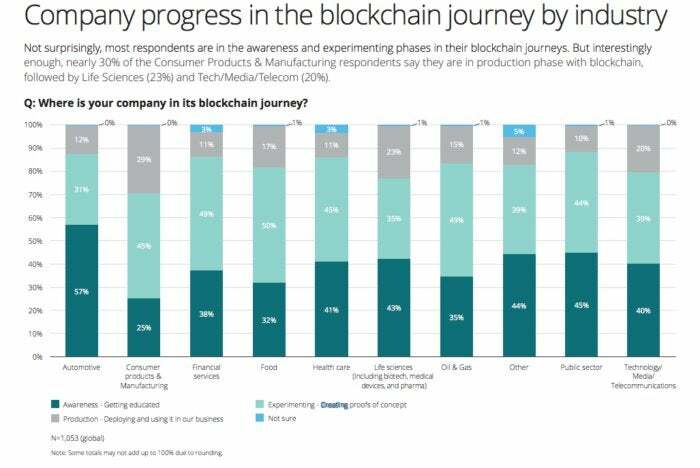 Deloitte published the results of an executive survey in June showing that nearly three-quarters (74%) of respondents reported their organizations see a "compelling business case" for the use of blockchain, and many of the companies are moving forward with the distributed ledger technology. Rajesh Kandaswamy, a Gartner fellow and chief blockchain researcher, had a more sobering analysis of blockchain adoption, saying that while interest among enterprises is high, actual deployments are rare. Even when enterprises do perform proof of concept projects, they're often rolled out under pressure from executives who want to do "something" with blockchain. "Most industries are not close to adoption, and even when they do, they do limited activity to test the technology, not as much because of a strong business case," Kandaswamy said via email. 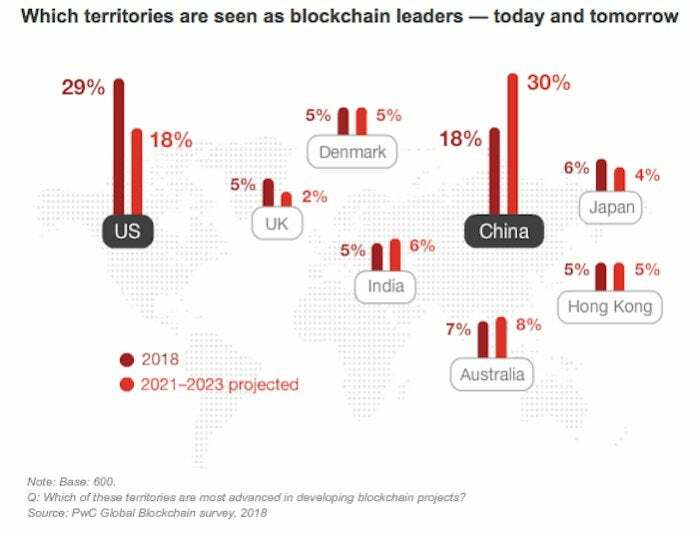 A Gartner CIO survey released in May revealed that fewer than 1% of more than 3,100 respondents had rolled out production blockchain systems. Gartner has since completed a second survey whose numbers have yet to be released, but adopters remain low, Kandaswamy said. A survey conducted by Gartner Research, the results of which were released in May, revealed far fewer adopters of the technology compared to Deloitte's or PwC's research. 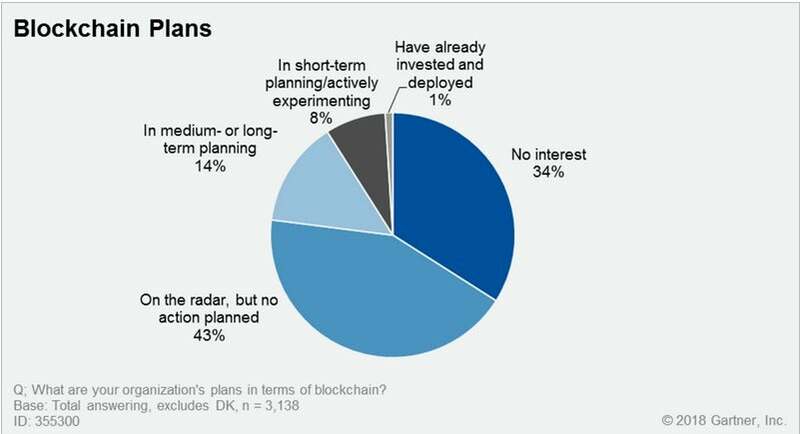 Among 293 CIOs of organizations in short-term planning or that have already invested in blockchain initiatives, 23% said blockchain requires the most new skills to implement of any technology area, while 18% said that blockchain skills are the most difficult to find, according to Gartner's earlier survey. 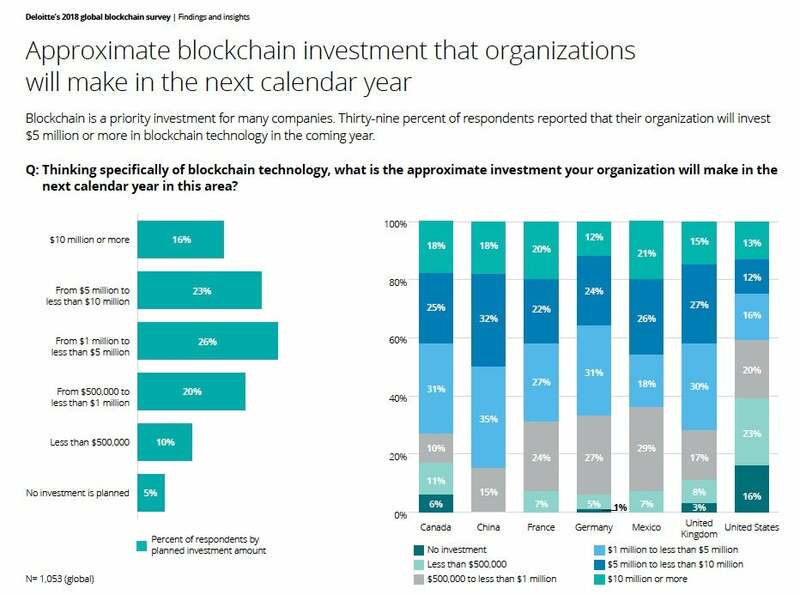 A further 14% indicated that blockchain requires the greatest change in the culture of the IT department, and 13% believed that the structure of the IT department had to change in order to implement blockchain, Gartner's data showed. Currently, the blockchain job market is hot but because it's so nascent there is a dearth of qualified developers to fill positions. "The challenge for CIOs is not just finding and retaining qualified engineers, but finding enough to accommodate growth in resources as blockchain developments grow," Gartner Research vice president David Furlonger stated in the report. "Qualified engineers may be cautious due to the historically libertarian and maverick nature of the blockchain developer community." 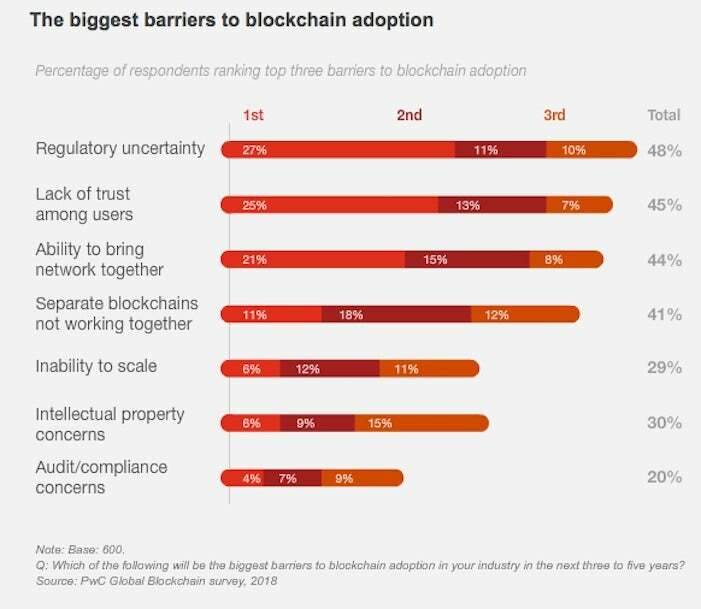 When it comes to the price tag for deploying blockchain, PwC's survey saw 40% of respondents indicating their organization will invest at least $5 million in blockchain deployments in the coming year. This story, "Here's what two executive surveys revealed about blockchain adoption" was originally published by Computerworld.